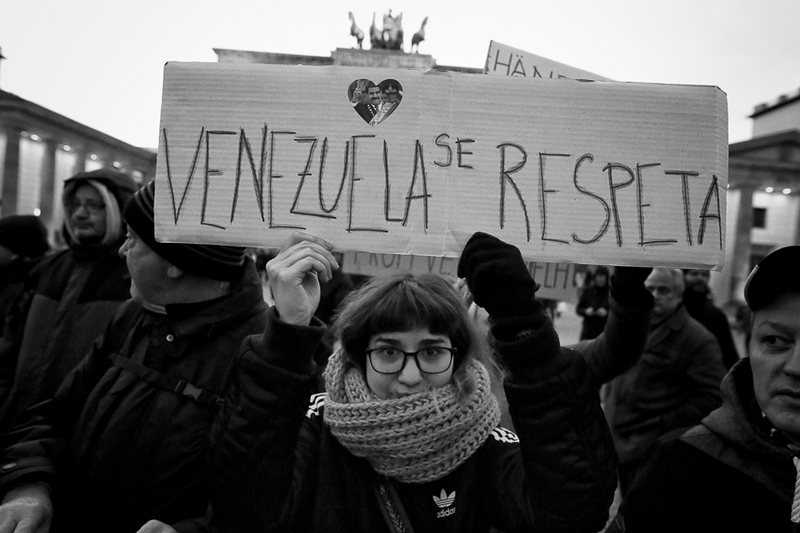 Around 100 people took part in a rally in Berlin against an alleged coup in Venezuela. In speeches the partisanship of the USA, as well as other western countries, for the Venezuelan opposition and the speaker of parliament Juan Guaidó was criticized. 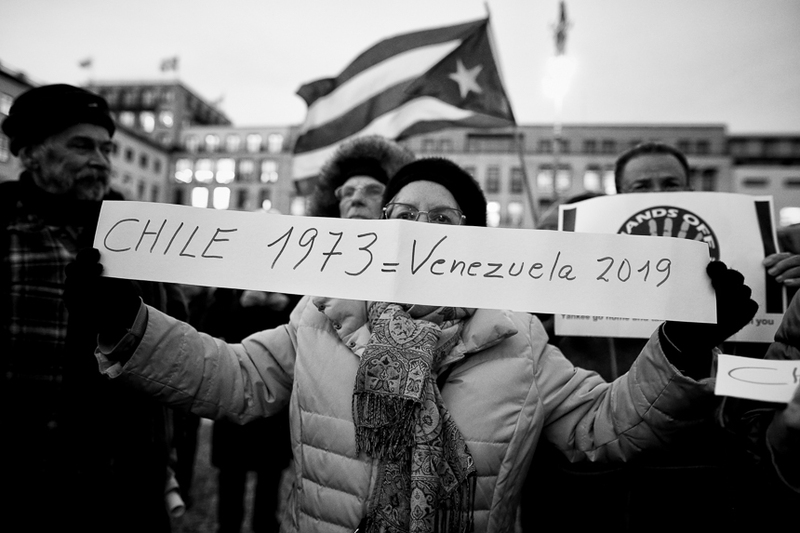 According to the participants, it was a coup to exploit Venezuela's oil resources, in line with the policy of US interference in Cuba, Chile and other states. The rally was called by the German Communist Party (DKP) and other left-dogmatic groups. 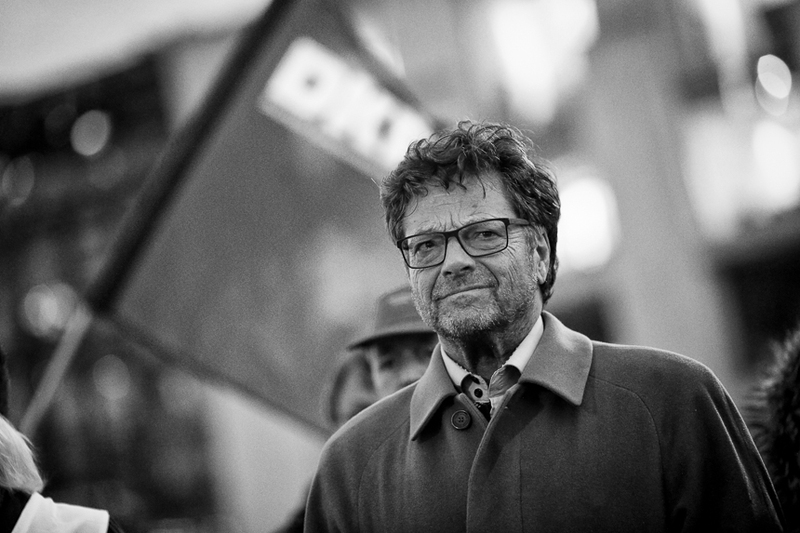 Diether Dehm, MdB (Die Linke) and Andrej Hunko, MdB (Die Linke) also took part in the rally. Some participants appear in the yellow west, apparently following the Gilets Jaunes movement from France. Besides Venezuela's flag, there were also flags of Russia, Cuba and the former Soviet Union. The background was the continuing conflict in Venezuela, after Juan Guaidó had proclaimed himself the new interim president and was immediately recognized by the USA. The EU had set the elected president Nicolás Maduro, who is accused of dictatorial leadership, a deadline to call new elections. Several dozen people have already been killed in protests in Venezuela.